"Science and Religion are not two separate things. They both have the same object: to bring us nearer and nearer to the point where we shall find ourselves in touch with the ONE Universal Cause. Therefore the two were never dissociated by the greatest thinkers of antiquity, and the inseparableness of energy and matter, which is now recognized by the most advanced science as the starting-point of all its speculations, is none other than the old, old doctrine of the identity of Spirit and Ultimate Substance." Science may be defined as: a branch of knowledge or study dealing with a body of facts or truths systematically arranged and showing the operation of various general principles. Religion may be defined as: a belief system concerning the cause, nature, and purpose of the universe, especially when considered as the creation of one or more superhuman agencies, usually involving devotional and ritual observances, and often containing a moral code governing the conduct of human affairs. Interestingly enough, these are not the only definitions of science and religion that may be established, and the reader may take on his or her own definitions, if they so prefer. (1) a desire to explain the occurrence of what is now generally known as natural phenomena, such as the weather, the occurrence of day and night, earthquakes, etc. One of the explanations behind this is that the individual human brain (or perhaps rather, the mind) has to explain a phenomenon in order to comprehend and relate to it. (2) the gradual adoption of what might be called "moral" sentiments, which, according to some theorists, constituted a method of restraining or altering individual behavior, in order for the entire group or society to live and operate in a harmonious and co-operative manner. It has even been suggested that a so-called "supernatural" element (the existence and presence of ancestors, spirits and gods) was gradually introduced over time, again for the purpose of modifying and influencing individual behavior. Similarly, and expanding briefly on the brief definition of Science, as stated above, the arrangement of any body of facts generally came about, as a result of observation, explanation, and prediction of real world phenomena by experiment. 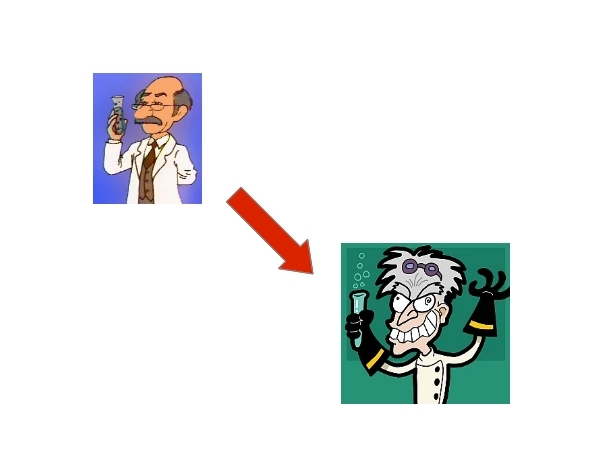 History indicates that the so-called "scientific" method of observation, explanation and prediction has been implemented in various ways among most (if not all) of the so-called "ancient" civilizations, in various fields - inclusive of but not limited to: astronomy, mathematics, botany, zoology, medicine, engineering, etc. ; if not in the form by which they are known today, in what might be considered their original form. A brief comparison with the comments previously made regarding the development of religion will suggest that the development of science arose primarily out of the desire to explain some particular phenomenon observed in Nature (the first factor stated, with respect to the gradual establishment of religion), but was not specifically geared to influence a society's behavior in either one direction, or another. And this Author will volunteer - as others have done in their own way - that this is one of the contributing factors (if not the most significant one) by and through which the conflict between science and religion may have originated. Going a little further, it can be argued that the "conflict" between science and religion may only be apparent in the viewpoint of some persons. 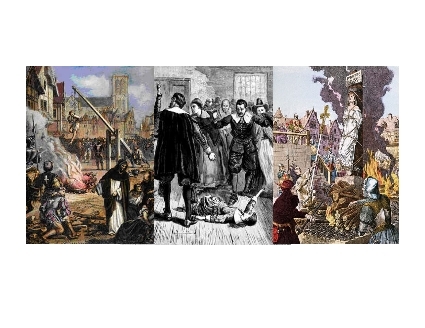 There are some schools of thought who have taken up, and even continue to adopt, what might be considered an "antagonistic" position, that science and religion are effectively opposed to one another, to the point of being hostile. According to this position, the two fields are mutually exclusive, i.e., to accept the claims of one automatically means the complete rejection of the claims of the other. This position often goes further to denounce the rejected side as operating under serious - even dangerous - delusions. 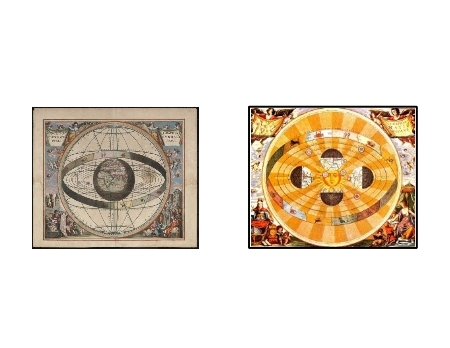 The issue of the arrangement of the solar system (the original model placing the Earth at the center versus the subsequent findings of Copernicus, Galileo and others), is one well-known example (of many) of the hostile or antagonistic position or stance sometimes taken with respect to science and religion; although there is sufficient evidence to suggest that the factors which supported this particular example of the antagonistic stance may have been amplified or exaggerated over and above the actual facts back of the matter. 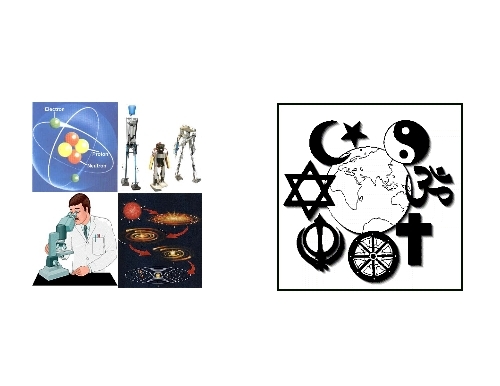 Simultaneously, there is what might be called the "harmonious" stance with respect to science and religion, where, simply stated, science either supports, or gives a level of credibility to many (if not all) propositions common to religion, and the converse is also applicable (religion imparting credibility to science). An example of this is to be found in the work of the celebrated scientist, Sir Issac Newton (1643-1727). 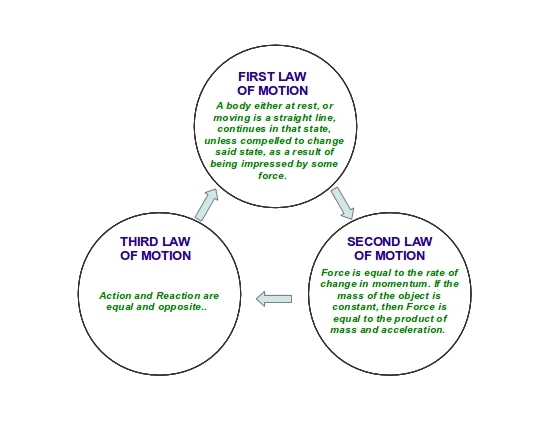 One of his most famous accomplishments, specifically, the formulation of his three Laws Of Motion, serves for some as a foundation for an atheist position. However, the evidence recorded of Newton's personal life suggests that he himself considered this (and other discoveries attributed to himself and his work) as evidence of the working of some Supreme Intelligence. Stated another way, even if there is no recorded statement to the effect attributed to Newton, it is clear from the historical record that exists that he, in his own way, adhered to the harmonious stance with respect to science and religion. And, in all fairness, there are some who put forth a third position, which effectively states that science and religion are completely un-related, and have no connection with each other. However, while it may be considered a person's right to take up such a position, if they so choose, this Author shall not delve into this at the present moment. As stated before, indications suggest that the development of science arose out of the desire to explain various phenomena observed in Nature. A proposition can be put forward that, from the philosophical or metaphysical standpoint, the desire stated previously was, and even today, is, the expression of the tendency of the One Universal Cause (as stated before, call it Spirit, Universal Mind, GOD, or any other name) to, so-to-say, grow, advance and increase - or, as one put it, "Life, in the mere act of living, must increase itself." But at the same time, all indications suggest that, as also stated before, the development was not specifically intended to influence the behavior of a particular society. On that basis, whether one simply applies a little imagination, or makes reference to examples contained in so-called works of fiction, it is possible to conceive one or more scenarios in which what might be considered "atrocities" or "abominations" might be committed upon masses of individuals, and explained or excused by the argument that it was "all in the name of scientific advancement", irregardless of the methods or procedures applied in the name of said advancement. "While technology controls the forces of nature around us, ethics try to control the forces of nature within us. I think it is a fair assumption that the Ten Commandments are entirely adequate--without amendments--to cope with all the problems the technological revolution not only has brought up, but will bring up in the future. The real problem is not a lack of ethical legislation, but a lack in day-to-day guidance and control. When science freed itself from the bonds of religious dogma, thus opening the way for technological revolution, the Church also lost much of its influence on the ethical conduct of man." At the same time - and it is stated here with due respect - it cannot be denied that there exists a risk with taking up the polar opposite position that "religion is all this is". Speaking generally, and as mentioned in other previous discourses to be found here, both philosophy and religion can be shown to contain within them, what might be considered to be powerful, if not potentially dangerous, knowledge; the potential for danger existing in the incorrect or ignorant application of the knowledge. The old adage often stated via the phrase: "Knowledge is Power", can be shown to be an incomplete proposition. To be more precise, "Knowledge is only Potential Power, whereas Applied Knowledge is Power". And again, how that knowledge is applied, will inevitably bring about results that may be considered either "positive", or "negative". A case can be put forth that, careful and thorough study, assimilation and understanding of the teachings and doctrines of philosophy or religion will sooner or later reveal this knowledge to a student, with the accompanying discovery of the existence of certain powers and abilities that are virtually unknown to those who have not undertaken such study. History suggests that the masses of mankind are, so-to-say, guided and led to conform with what might be considered a course of training and instruction, intended to have them exhibit and demonstrate what one writer called: "ignorant obedience" to codes and standards geared to maintain the group or society in a harmonious order. Stated another way, the masses are generally instructed on "how to think, speak and act" so as to maintain this order, but are almost never instructed on "why to think, speak or act" in that manner. And, to be frank, there is indeed a distinction between knowing "how" to do something, versus knowing "why" to do it. And the quotation above, attributed to von Braun, also indicates within it something of great significance; not only in his time, but in ours also. One meaning of the word, "dogma", is: prescribed doctrine proclaimed as unquestionably true by a particular group, i.e., questioning of said doctrine is, generally, either ignored, or discouraged. And again, history has recorded all too clearly that, when the discouragement of the questioning of doctrine (particularly, religious doctrine) goes to what might be considered an extreme level, it almost inevitably results in actions against the questioner, which are also geared to discourage, if not outright intimidate or frighten, others from raising similar questions; namely, (as one authority put it) "... all the persecutions and massacres and martyrdoms which disgrace the pages of history, making so many of them a record of nothing but ferocity and stupidity." "With a general advance in intelligence must come a general disposition to question the outward forms of religion, while yet this general advance fell very far short of that fuller development, which in solitary instances, led the individual to grasp the meaning of the inner Truth. Then, when to any nation comes the ridicule of all it has hitherto held sacred, because it has never learnt the Eternal Truth itself, but has placed its faith in forms and ceremonies and traditions, which, useful in their day and generation, should have been unfolded to meet growing intelligence ... when this condition of the national mind supervenes, woe to that nation, for it is left without GOD and without hope, and by the inevitable Law of nature on the plane of the MIND, it cannot but bring upon itself dire calamity." Although a person is free to take up a position of denial, if they so wish, there is sufficient evidence to indicate clearly that a general advance in intelligence has indeed taken place, since those words were first written; whether that intelligence is applied to produce good or bad results is another issue altogether. The aeroplane, the telephone, radio communication, atomic energy, television, the Internet, ..... the list of discoveries and achievements is virtually endless. Accordingly, and again with due respect, each and every person may have to investigate and determine for themselves whether religion - irrespective of particular creed or denomination - has ever embarked upon a similar advance, or if they are effectively locked into the same "modus operandi", which may have been established hundreds, if not thousands, of years ago. And if religion is, so-to-say, "fixed in place", the individual may have to investigate and determine whether this is indeed the right way to go, or whether religion is actually conforming to what some call the definition of insanity, i.e., doing the same thing over and over, while expecting different results from those being currently obtained. his personal position, he accepts the "harmonious" position, and would submit that there exists a place for both science and religion in the affairs of life, but the reasons for taking such a position, is the Author's, and not necessarily anyone else's. Additionally, it is (in this Author's opinion) not his place to change someone else's viewpoint, or even to place an alternative viewpoint into another person's mind, with regard to the subject of science and religion, or for that matter, any other subject. To borrow a part of a quotation first highlighted on the Home Page, all another person (Author included) can (and should) ever do, is to put an idea before another person, and what that person does with the idea presented (accept, reject, study, incorporate, etc.) is, always and forever, the other person's choice. The following external web links are provided for additional reference and research on the subject of science and religion. clicking either link will open a new browser window. Copyright © 2011 Metaphysical Revelations. All Rights Reserved. Website powered by Solo Build It.